How to Convert iTunes DRM-Protected Music to Samsung Galaxy S4, S3 on Mac ? Enjoy iTunes Protected Music on any Samsung Phone, - anywhere! 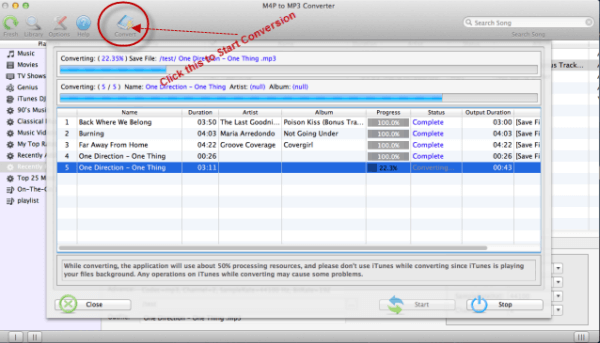 Convert Protected Music to MP3 on Mac OS X for play on Samsung devices. How to Convert iTunes DRM-Protected Music to Samsung Galaxy S4, S3 on Mac? 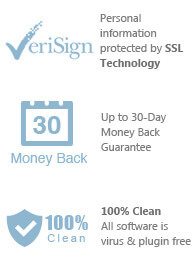 It's your way around any format compatibility issues and DRM copy protection. iTunes is famous for its convenience of manging files and playing music or videos. And due to iTunes also provides users with music buying service, iTunes has become more and more popular. But some people always ask us how to transfer these iTunes songs to Samsung Phone, like Galaxy S4, S3, Note 3, Tab 3, Note 2, etc. As the formats of iTunes songs are M4P, M4A or AAC and these formats are not supported by Samsung Phone. Meanwhile, the music you bought from iTunes store is DRM-Protected music and the music can only be authorized to play on a maximum of 5 computers. So that is the reason why they ask the question. In order to Convert iTunes DRM-Protected music to Samsung Galaxy Phone, you need have to convert these iTunes music to MP3 format for the reason that MP3 is fully compatible with Samsung Phone. 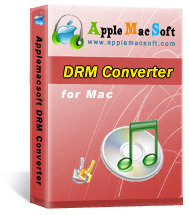 AppleMacSoft DRM Converter for Mac is designed to help iTunes users to convert iTunes DRM-protected or unprotected music to other formats they need. This software which runs under Mac operating system has user-friendly interface to guide users finish the conversion easily and quickly. You can perform this software by yourself by the following tutorial. Step 1: Install the Software and Choose the Music. At first, you need to install DRM Converter for Mac on your Mac computer and launch it. Then your iTunes files will be synced with the program automatically. Please click "Music" in the left of the interface and choose the songs you want to convert by checking boxes. Step 2: Set Output Format and Saving Folder. 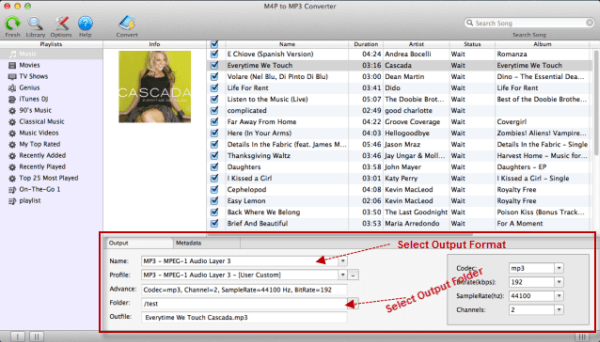 In the bottom of the main interface, you need to choose MP3 as the output format and select a folder for saving output music. If you like, you can also set other parameters here. In order to output music for Samsung phones, you need choose MP3 as the output format. Step 3: Start Converting iTunes Protected Music to MP3. When all options are set by you correctly, you can start to convert by click "Convert" button. The process of conversion will take some time, please wait with patience. After finishing, the converted musics will be saved into the folder you have chosen before. Congratulations! Now you can check these converted MP3 music and transfer them to Samsung device for playback. Just enjoy yourself. Convert DRM protected songs to MP3 on Windows? Remove DRM from old iTunes songs on Windows? You can immediately download the very last version of DRM Converter from our website and start to Converting iTunes Protected Music to MP3 right now !